Qatar Airways has announced the launch of a new daily all premium Business Class service from its hub in Doha to London Heathrow today. Mirroring the product currently run by British Airways from London City Airport. The new service will be the first of its kind in the Middle East, commencing from 15 May 2014, with an Airbus A319 aircraft fitted with an all Business Class, single aisle, 2–2 seating configuration offering 40 seats – slightly larger than it’s UK rival operating the LCY – JFK route. Qatar Airways currently operates five daily flights to London Heathrow and the additional sixth all Business Class daily service means passengers can experience complete comfort and privacy with the airline’s award-winning five-star hospitality. 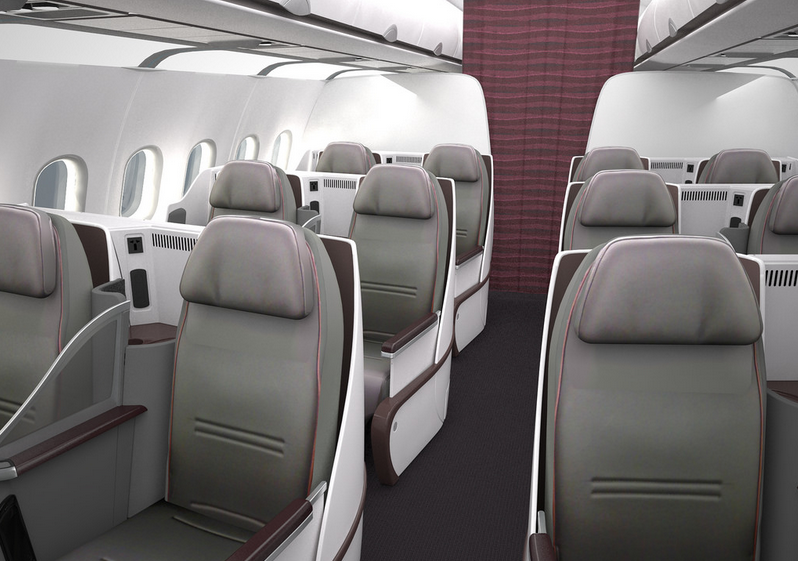 The new additional flight will step up the frequency on the Doha – London Heathrow route from 35 to 42 weekly services. 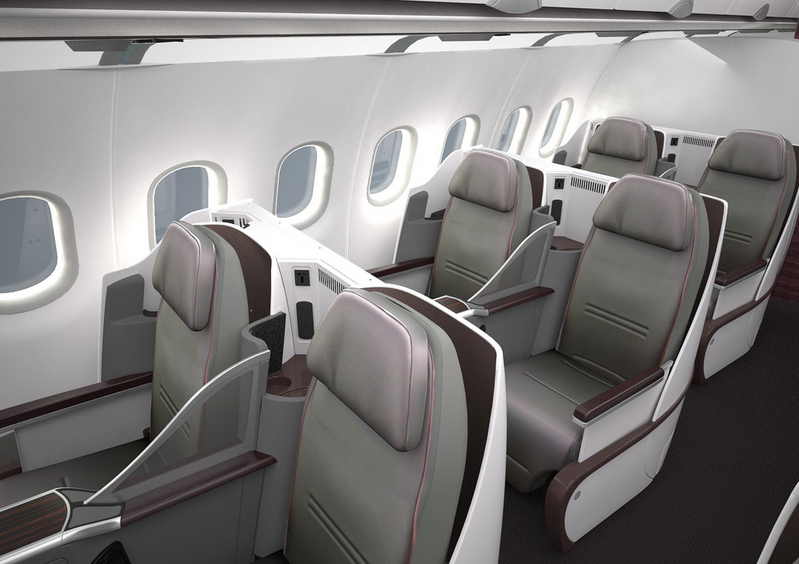 The seat product, similar to that found in the new Lufthansa 747-800 cabin, or the transcon Delta new premium product. have pairs of seats, slightly angled away from the aisle, meaning a modicum more privacy, but really only ideal for those travelling in pairs. One nice touch here, and perhaps perfectly suited for the small cabins, is the ability to SMS from the air to those on the ground, enabling people to keep in touch. We always love an all-business cabin product, however, the seat product varies again from a myriad of different seats available on the airline, meaning that passenger comfort in the air can vary depending what aircraft you fly on the London route, which currently is serviced by a 777, A330, 787 and now A319. It still hasn’t been officially announced if the A380 will fly the LHR route too. Whilst the A319 and 787 are both currently the only configurations to offer a fully flat bed, it is expected the A380 will offer a similar level of comfort. We feel it’s a good option, however the 787 with it’s all aisle access and larger more private suites, is a better option for business class. 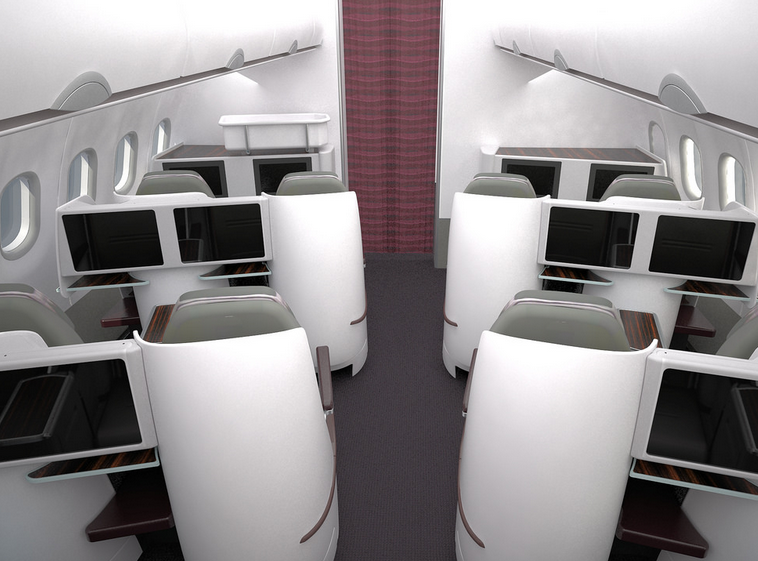 But this quieter cabin will be a step up from the angle flat beds found in their 777 and A330 fleet. Well worth trying out! We will see if we can do a trip report on it soon! or is this aircraft could only be reserved to the Royal Qatari families for their private uses ????? 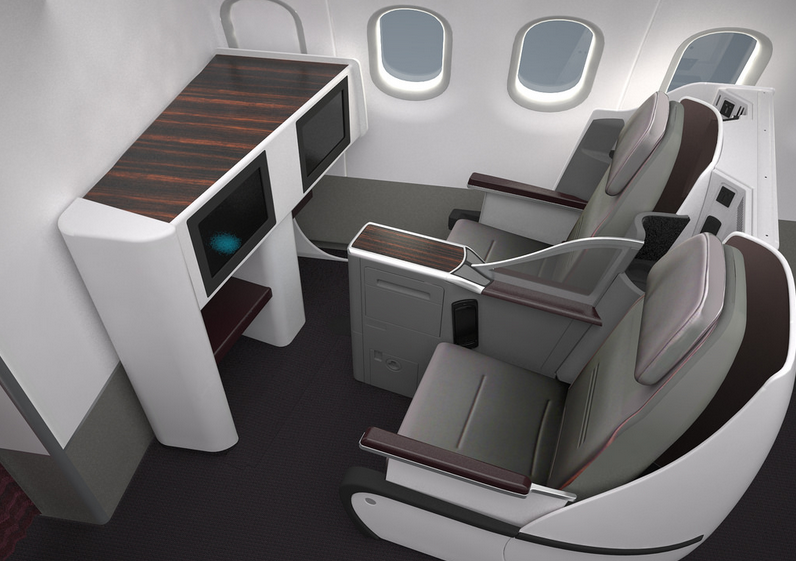 Pingback: Touring Qatar Airways’ New Business and First Class Cabins - HotelsFlash - All About Hotel News! @Johny, the images you have shared tell me that the new class of flights by the Qatar Airways will offer superior service. I would like to know more about the flights. I will follow your blog hoping to get fresh updates on the same.